Tea in Fresno - Raizana Tea Co. So what makes Raizana special? 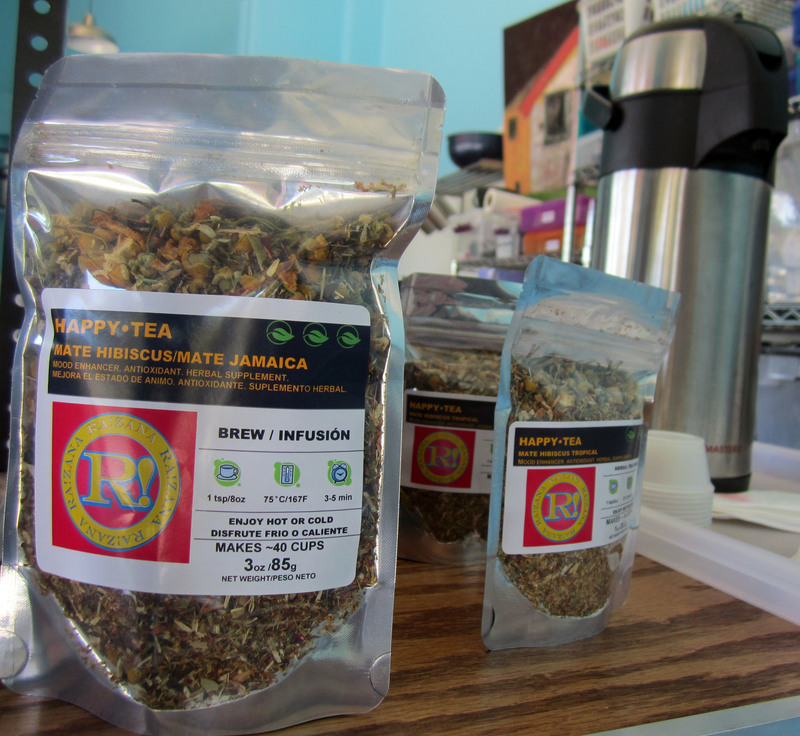 Raizana is a loose-leaf tea company that specializes in tea blends that offer natural remedies as well as delicious flavor. 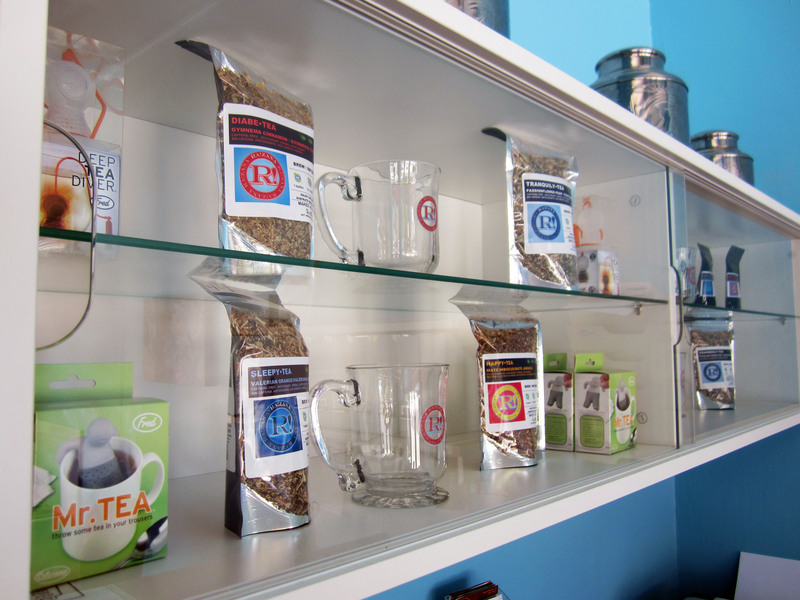 Even though Raizana is new to their space in Downtown, they’re not new to the tea scene. Sol and Pablo have been creating their tea concoctions since 2009 using a commercial kitchen to fulfill online orders from their website, Amazon, Etsy and Ebay. They are also open every Art Hop for tea tasting, which fits in as a natural stop between the big to-do that always happens at K-Jewel, the amazing free Warnor’s tours and the consistently great artists at Misc. Their tea-vangelism knows no bounds! Other varie-teas (I couldn’t resist) include: Diabe-Tea which helps manage elevated blood glucose levels Fluidi-Tea for urinary tracts and prostate woes TranquiliTea which does exactly what it claims. Or as my cousin said after I gave her some to try: “This tea. Is. Amazing. So soothing! And you don’t have to add anything and it tastes perfect!” Bam. Pure-Tea, a remedy for gallstones and liver detox. Plus it offers a boost to the immune system. We all could use that! DigestTea is gentle enough for kids and helps with all kinds of tummy aches Sleepy Tea, which helps with sleeplessness and insomnia. And looks just seriously gorgeous in the loose leaf. If you’re convinced you need more Raizana in your life, we can make that happen! Raizana has graciously offered 20% off your online purchase and $1 shipping within Fresno to our readers, just use the promo code DFPteatime when you check out! We’re so excited to have such tea-riffic new neighbors in Downtown. 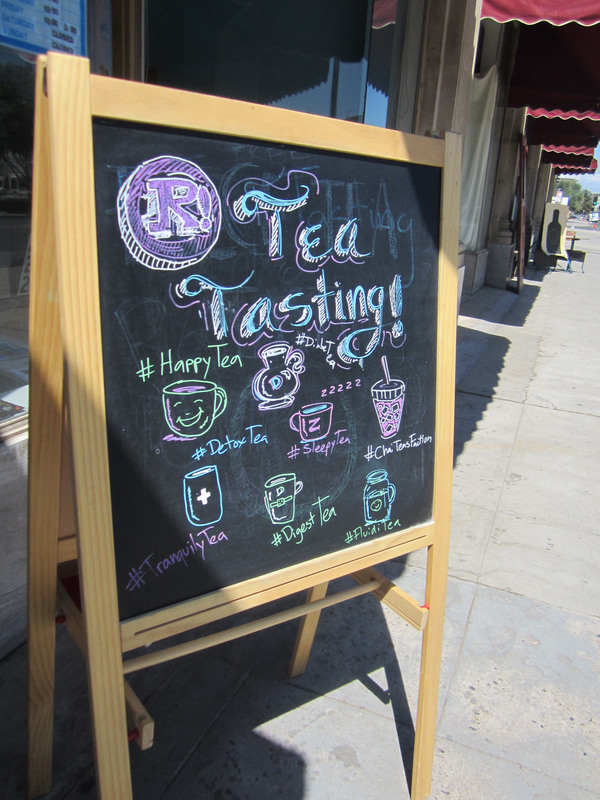 Stop by for a tea tasting this week and say “Hi” to Sol and Pablo!